Early in the morning you can feel the chilly air. The sun goes down just a bit earlier and there’s a certain kind of breeze that wasn’t here a few weeks ago. It means that fall is on the way! Rather than be sad about summer taking its leave, let’s be excited about the incredible fall foliage we’re about to see. If you’d like to maximize the views this year, take your leaf peepin’ to these special places. 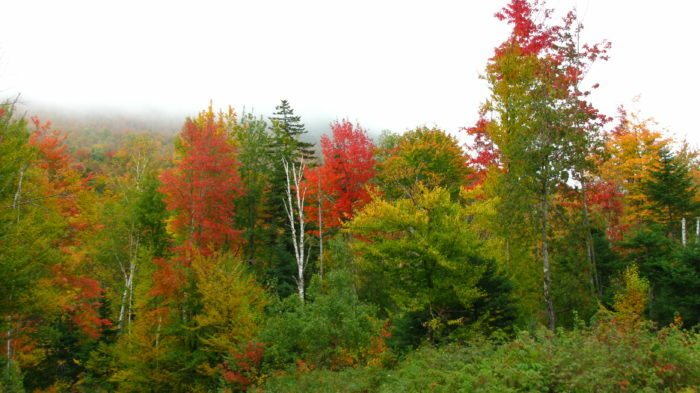 They might just be the best places to see fall foliage in Maine. 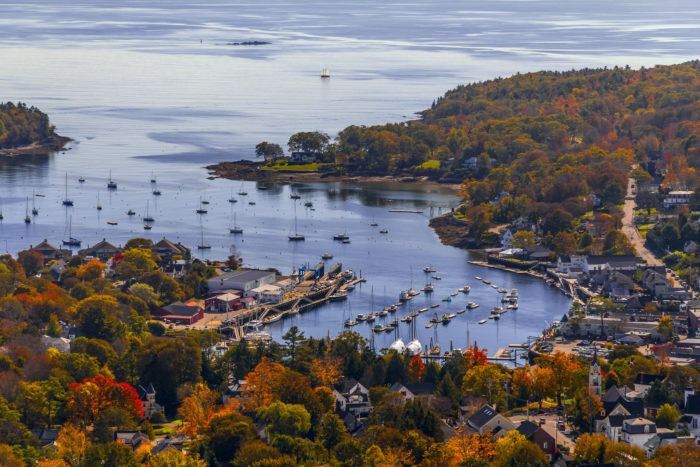 Sitting conveniently close to Acadia National Park, Bar Harbor is a natural choice when planning a fall getaway. 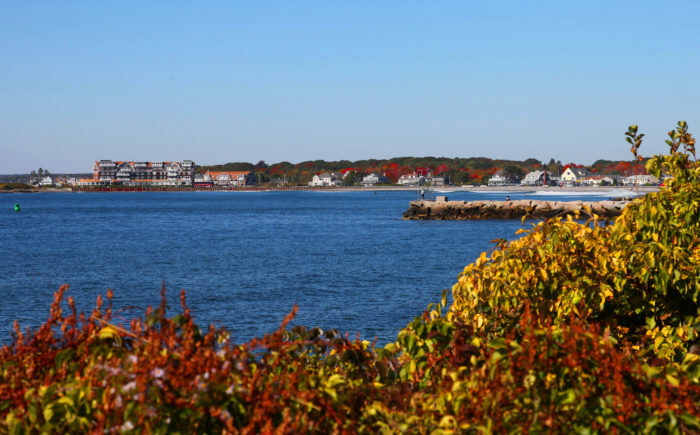 Watch the leaves fall on the sidewalks of the town while you stroll around shopping, then plan for a full day driving through Acadia. 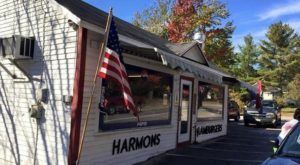 This might be one of the best, and easiest, places to enjoy the changing leaves in Maine. 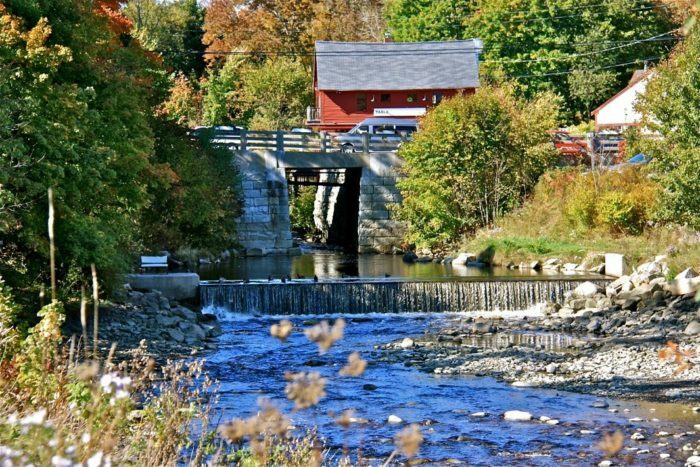 Considered one of the best places in Maine to adventure on a river, The Forks should be your destination if you love whitewater rafting. But, you don't need to be an adrenaline junky to take in the leaves. 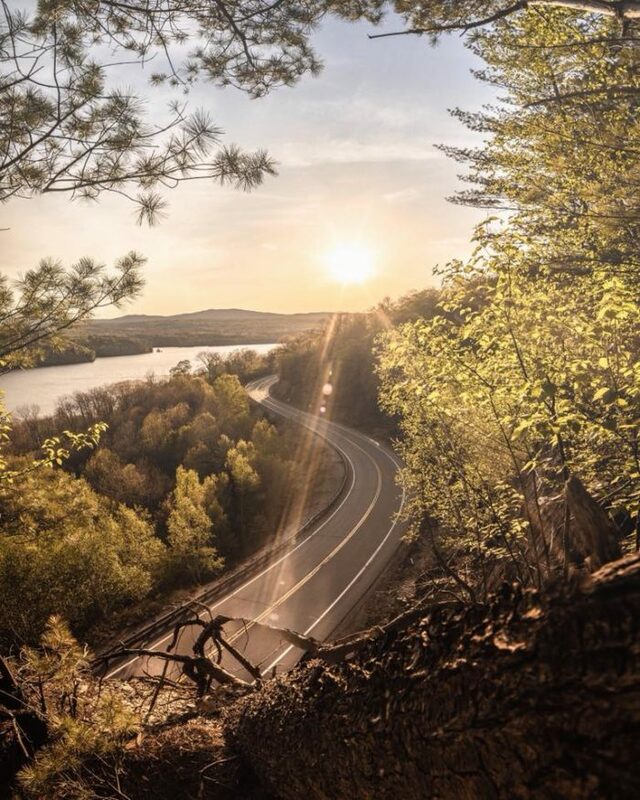 Take a drive down Scenic Road 201 for the best of ALL worlds. 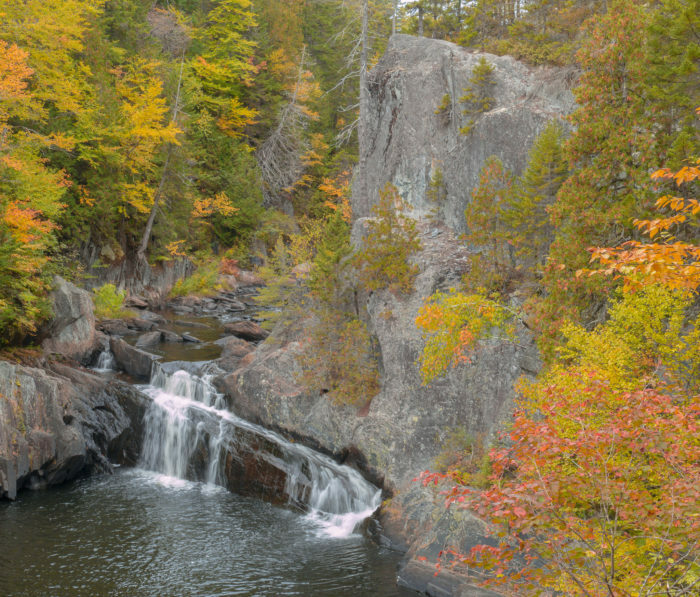 You might think that inland forest is the best place to see the leaves change color in Maine, but there are plenty of places to see autumn's beauty by the coast. 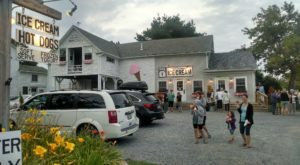 Kennebunkport. This is a great town for walking, plus you can't beat the shopping and dining. Make sure you take a drive along the water to see the bright blue water against the reds and yellows of the changing leaves. 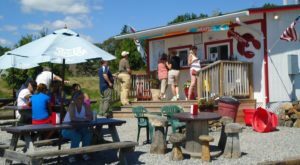 Folks from away might not be familiar with Bethel, but Mainers will know it as a great access point for seeing Gulf Hagas, Screw Auger Falls and all of the other incredible sites located in and around Grafton Notch State Park. 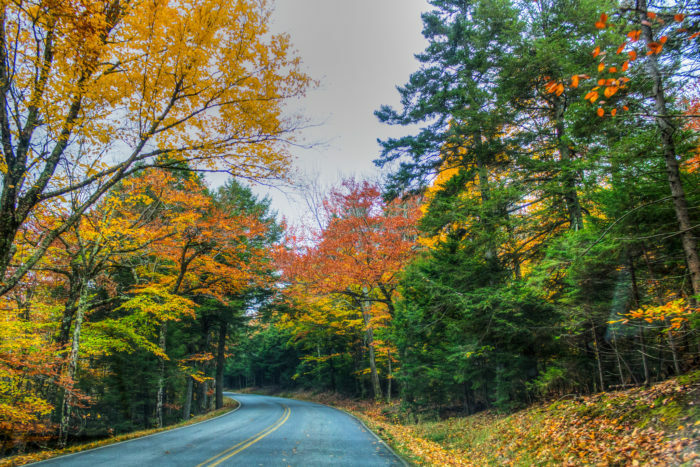 Choose to spend some time seeing the sights, or just drive around the area for some great fall foliage. 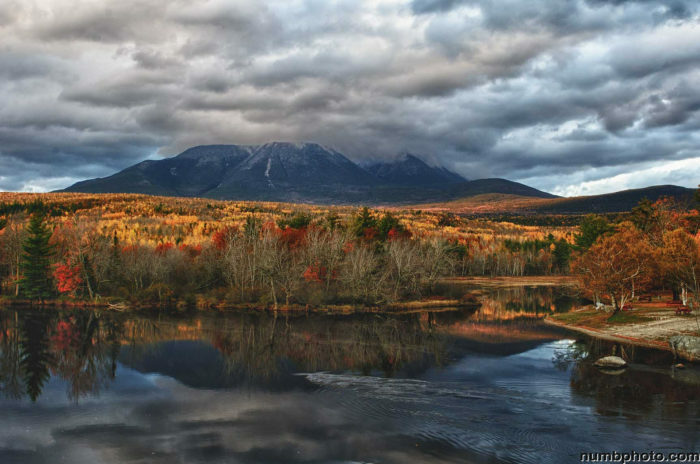 In addition to having lots of space to explore, Baxter is home to Maine's pride and joy: Mount Katahdin! The northern terminus of the Appalachian Trail provides an awe-inspiring backdrop for the beautiful leaf peeping that can be done here. 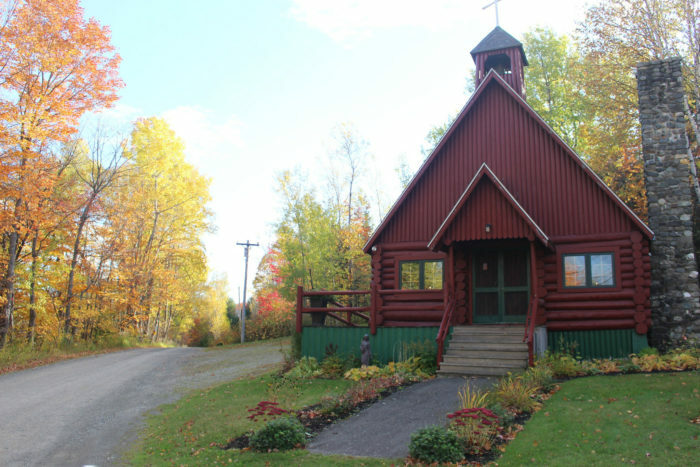 Rockwood makes a great jumping off point for Moosehead Lake. 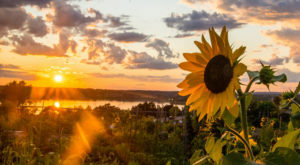 The small town can be explored in no time at all, allowing you to spend the majority of your time seeing the leaves and trees surrounding the lake. 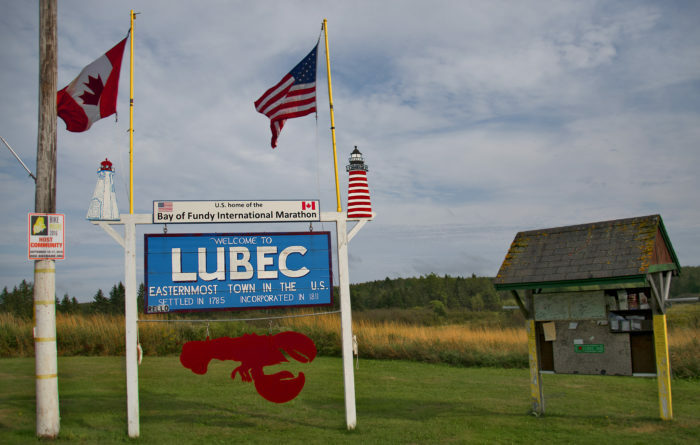 This northern town is well-known for being near Quoddy State Park, but it's also a great place to see Maine change colors. To really switch things up, book yourself a whale watching trip to see the colors of the leaves on the shore from a boat. While you don't HAVE to go to the top of Mt. Battie to see the fall foliage in Camden, it's definitely one of our favorite ways to enjoy the scene. Once you've strolled your way around town, taking in the shopping and dining amidst the changing leaves at street level, take the aforementioned drive up and see things from a different perspective. 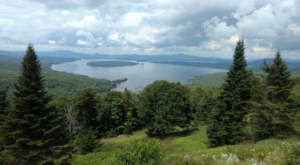 This small town, nestled between Blue Hill Harbor and Blue Hill Mountain is sleepy and quintessential Maine. While you won't find any huge state parks here, the beauty found from just meandering around is worth the trip. 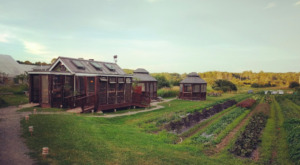 Head to town for a visit and stay overnight at the Blue Hill Inn to make it extra special. Elephant Mountain in Greenville is a great place for getting outdoors. Perhaps best known for the downed B-52 place that can be found here, it's also a wonderful place to simply take in the sights of the changing leaves. 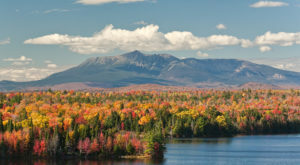 Where’s your favorite place to check out the changing leaves in Maine. Head over to Facebook to let us know. 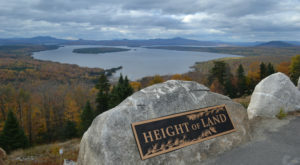 And, when you see it be sure to share your photos with the Maine Nature Lovers Facebook group! More good news? The fall foliage this year is expected to be even more incredible than last year. 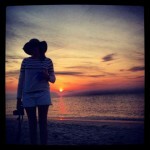 Learn all about what to expect and why by reading this article.